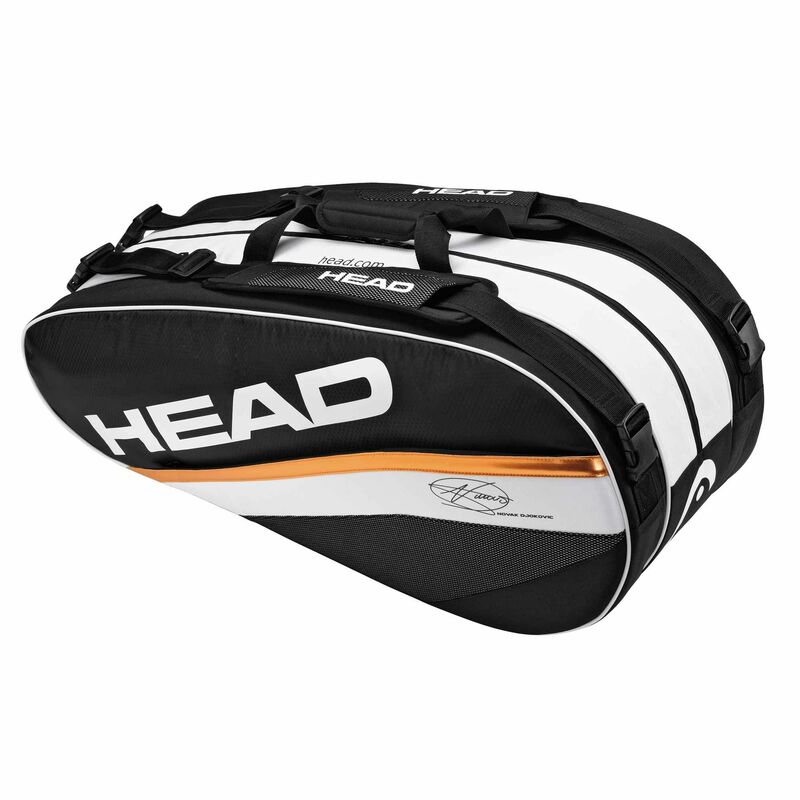 The Head Djokovic Combi racket bag, part of the Djokovic signature line, has extra resilient buckles and the optimised compartment structure for top functionality. The big racket compartment can hold 6-8 rackets and other gear, which makes the bag perfect for club players. The CCT+ (Climate Control Technology +) protects the equipment from extreme cold and hot temperatures and padded adjustable shoulder straps ensure comfortable transportation of the rackets. for submitting product review about Head Djokovic Combi Racket Bag 2012.